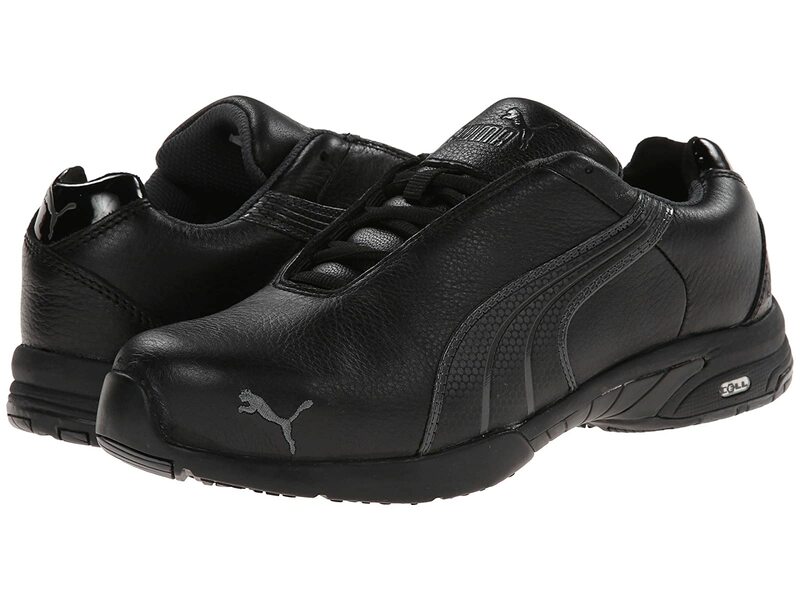 The PUMA® Safety Velocity SD offers a safety work shoe that looks and fits more like an athletic shoe but with all the protection you need to keep yourself safe and comfortable on the job. Smooth tumbled full grain leather upper is water repellent to help keep out the wet elements. Comfortable evercushion® MISS footbed offers lightweight cushioning with a waffle structure that will keep you cool and dry by transmitting moisture away from the foot in wear. The open cells also allow for rapid drying when the shoes are removed. IQ.Cell cushioning integrated in the heel area for added comfort and shock absorption. Slip-resistant rubber MISS SAFETY MOTION with Torsion Control System, heat resistance up to 300°C\u002F572°F, and meets ASTM F 1677 Mark II standards, ensuring secure contact to the ground.